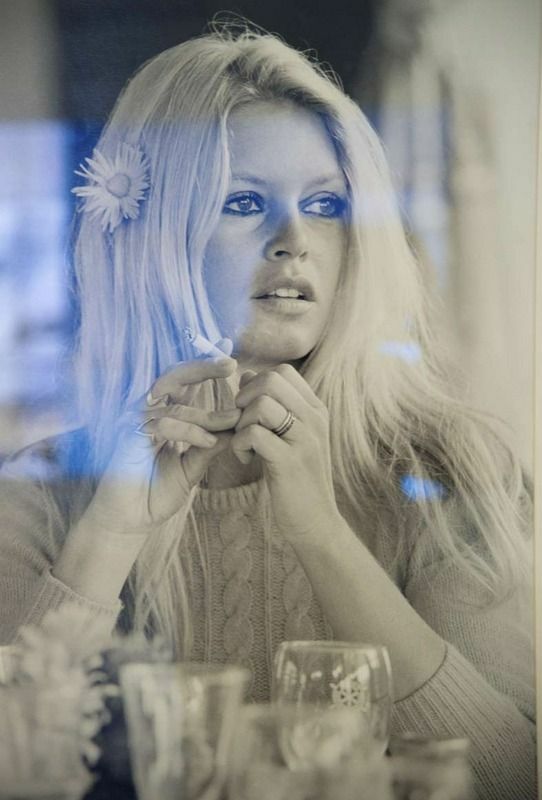 Brigitte is the incarnation of french glamour: innocent and sultry at the same time. 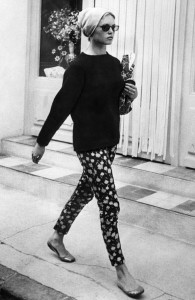 Her style is so modern it can still inspire us today How to dress like BB? BB is the first one who wore ballerinas in the city. The result is a bouncing allure. So ladylike! If you want to wear ballet flats just like her, make sure they are not heavy looking (big sole, decorations, etc. are to be avoided). BB loves prints. She is remembered for Vichy but also wore little flowers (as in the above pants), stripes, dots, etc. She even dared some pattern mix! Remember that a single print spices up a simple outfit. Eyeliner and updos are some of BB’s signatures : so pin-up of her! But always done in a messy way. Eyeliner is smudged and the hair are a bit unkempt. 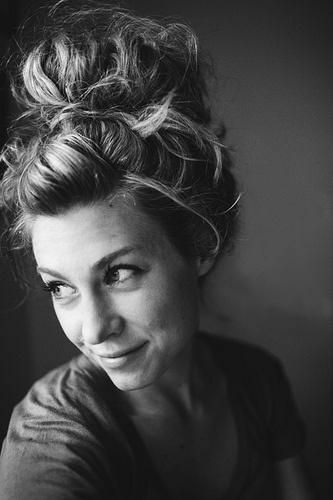 A modern BB hairstyle would be the messy bun. And a BB make-up would be greasy black khôl applied with the finger. 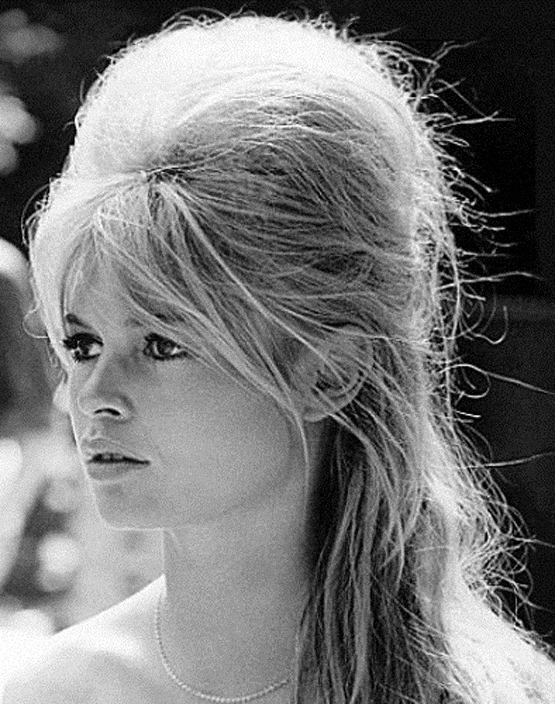 She makes a simple irish sweater more feminine with flower in long hair, little rings, make-up and… BB’ beauty of course. 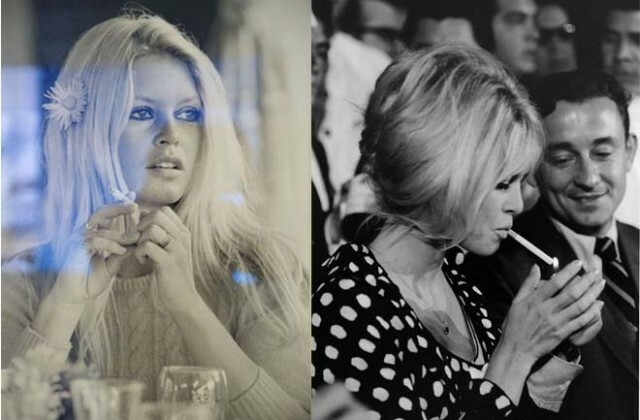 I’d really love one dedicated to Catherine Deneuve! Love it all, EXCEPT the cigarettes…..